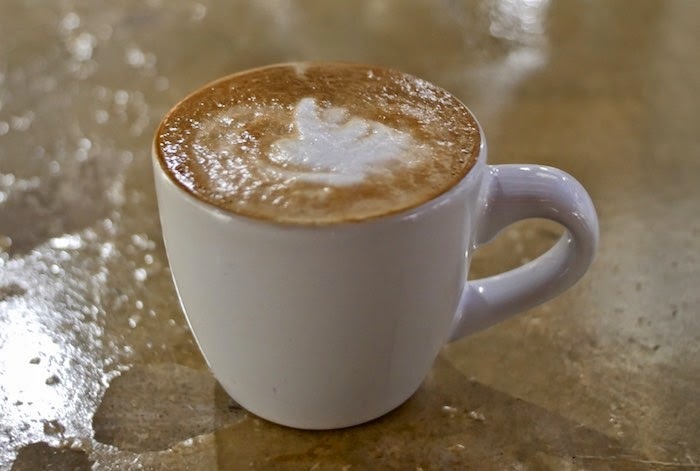 Amongst the many antique stores and restaurants that make up the Melrose Boutique District is a little gem known as Refuge Coffee & Wine Bar. The Refuge is a social enterprise of the Catholic Charities Community Services with profits going to Arizona's most vulnerable, which means patrons not only get to enjoy tasty food and drink but also get to help support local refugees and their families. 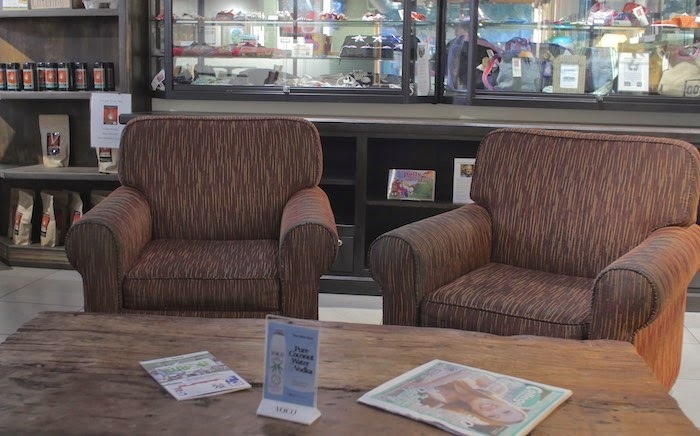 A casual place for the local community to study, work & gather, the Refuge has indoor and outdoor table seating, a large bar area with high top tables and a few comfy chairs. There is also a large conference room which can accommodate up to 15 people for meetings. On the lunch/dinner menu you'll find soups, salads, sandwiches, and tapas which are perfect for sharing. 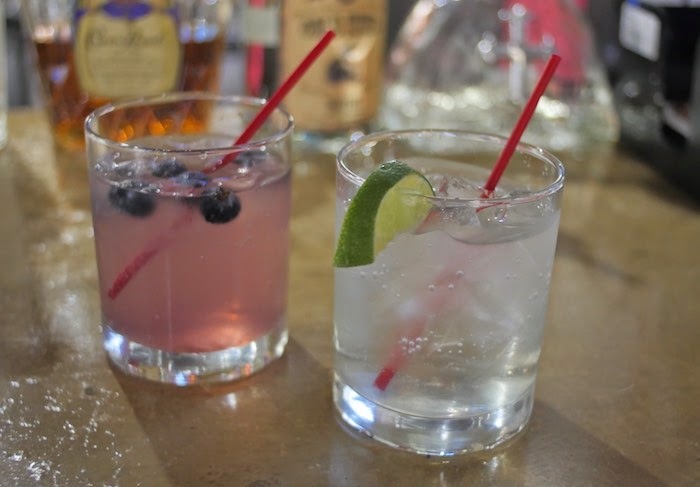 Craft cocktails include house-made infused syrups and local spirits. The Refuge also offers a proprietary blend of coffee under the Cafe Esperanza label. I recently had an opportunity to sample a few items from their kitchen and I know I will be back to taste more. The Refuge prides themselves in using fresh local produce whenever possible, most of which is sourced from The Madison Street Veterans Association garden, an urban agricultural space serviced by veterans. 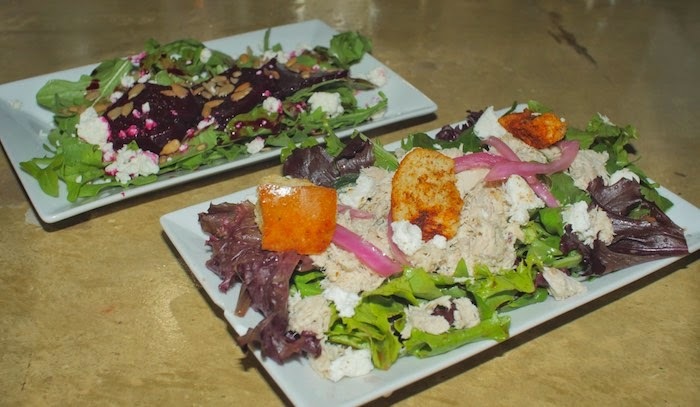 I tried two salads the Roasted Beet Salad and the Refuge Mixed Greens Salad. The beet salad included local beets that had been marinated in raspberry tea and tossed with feta, local greens and sunflower seeds. The Mixed Green was a nice mix of house made pickled onions and croutons, goat cheese and candied almonds drizzled in balsamic. 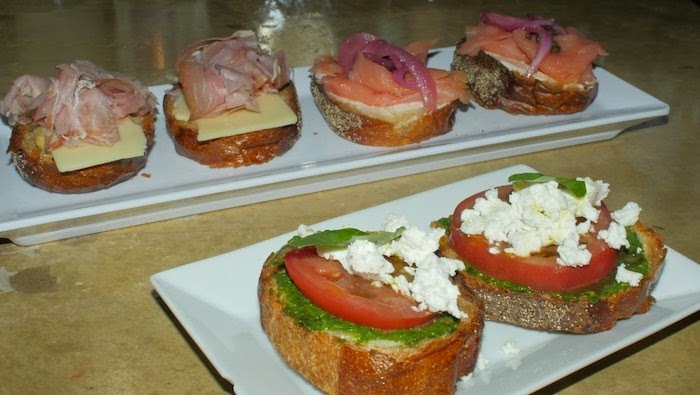 Three different types of bruschetta are available: Smoked Salmon & Goat Cheese Mousse with Pickled Onions, Tomato, Basil and Goat Cheese, and Prosciutto, Swiss & Champagne Dijon. I was also able to sample the house made Green Chile Pork Taco plate, which included all the fixings for making a perfect taco: house made salsa, onions, green peppers, sour cream and shredded cheese. Looking for a unique gift? The Refuge also offers hand-crafted items from refugees around the world available for purchase with proceeds going directly to the artist. The Refuge is an all-around great place in Central Phoenix to kick back and enjoy food and drinks, all the while knowing you are helping those in need. What a great looking little place! Those chairs look so comfy! What a fantastic concept! Great food and wine, all while supporting a good cause. I'm going to let my Phoenix friends know about this place. What a great little place! I wish we had such a great gathering place in our area! Sounds like a really great place. If I ever get to Phoenix, I'd love to visit. That sounds like a nice place! Yummy food, too. Oh I wish that we had something like that here! I'm loving that Green Chile Pork Taco plate! That place sounds great. I love the comfy chairs, and the food looks really good, too! This looks like an amazing establishment. I love some of the programs Catholic Social Services creates to give back to the communities around the globe. what an awesome restaurant concept! I was simply amazed at the architecture of this absolutely beautiful venue!! The environment of convention center was unbelievable. I was fortunate enough to visit a place like this, we found awesome things one after another after another.